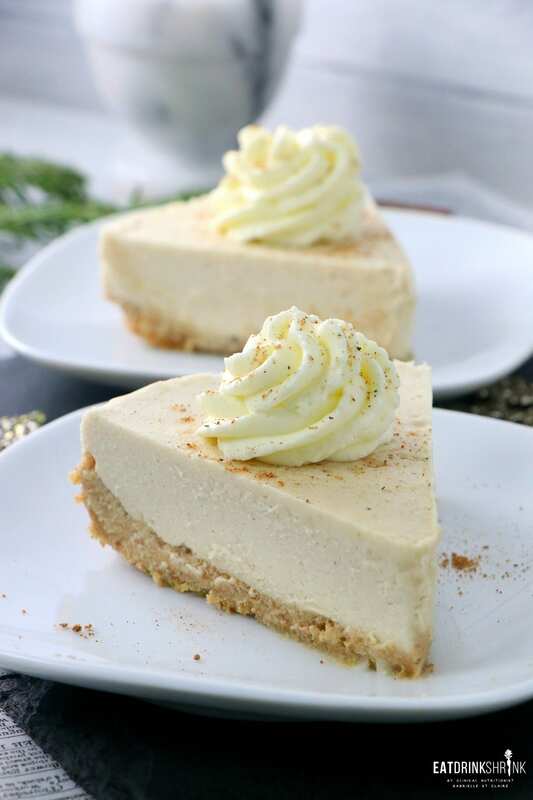 Vegan Eggnog Cheesecake - Eat. Drink. Shrink. 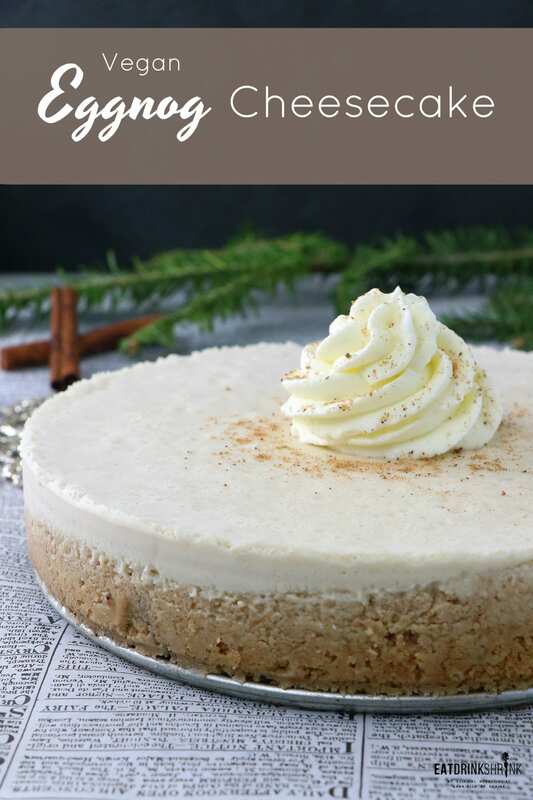 I’ve recently been on a eggnog kick and exploring countless concepts as I never get to every year. I swear, before I know it the few weeks leading up the all the celebrations is here and gone and I’m left with endless recipe I didn’t get to lol. 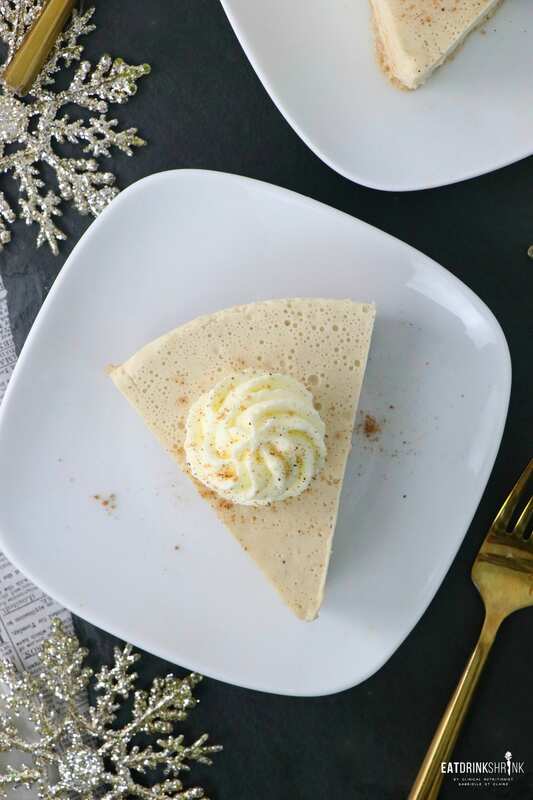 While I’ve never even had a non vegan eggnog cheesecake, I was intrigued by the concept and thought it would be a fun modern dessert, and I was right! 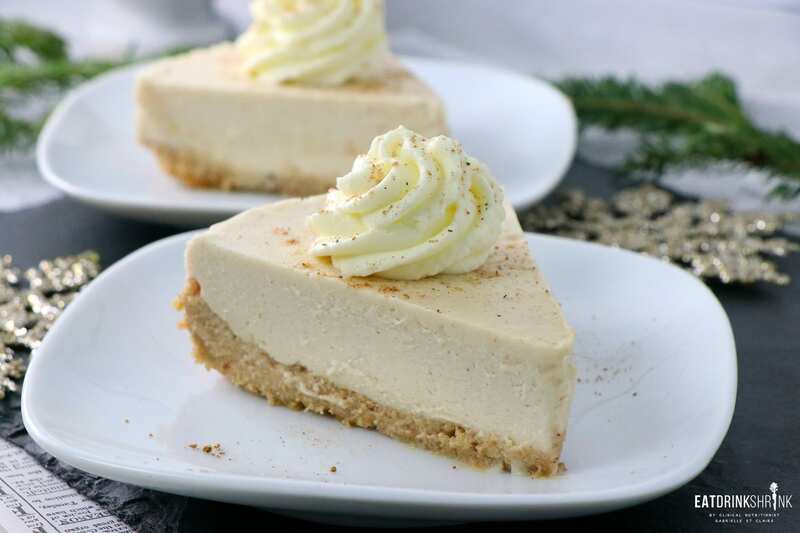 What’s fab about this dessert, is everything! 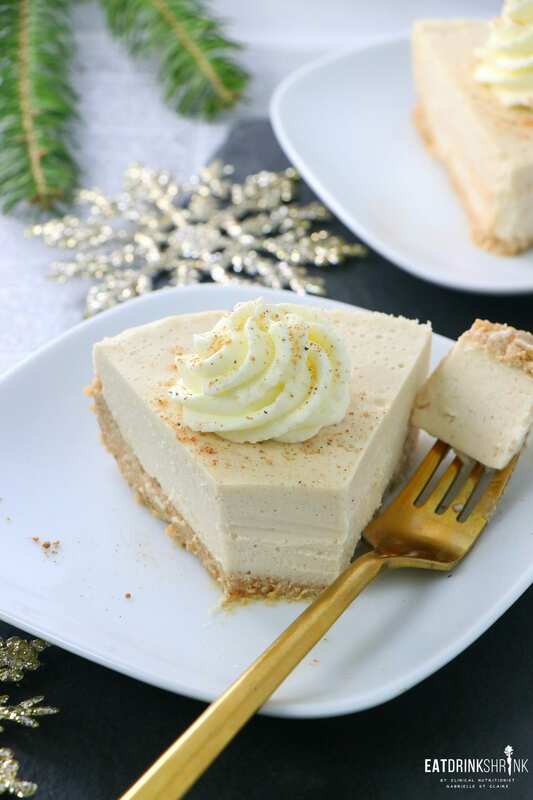 It’s quick, easy, featured minimal ingredients, tons of eggnog flavor, the perf crust, healthy fats and protein with the cashews, a whipped like texture, and perf for holiday entertaining! 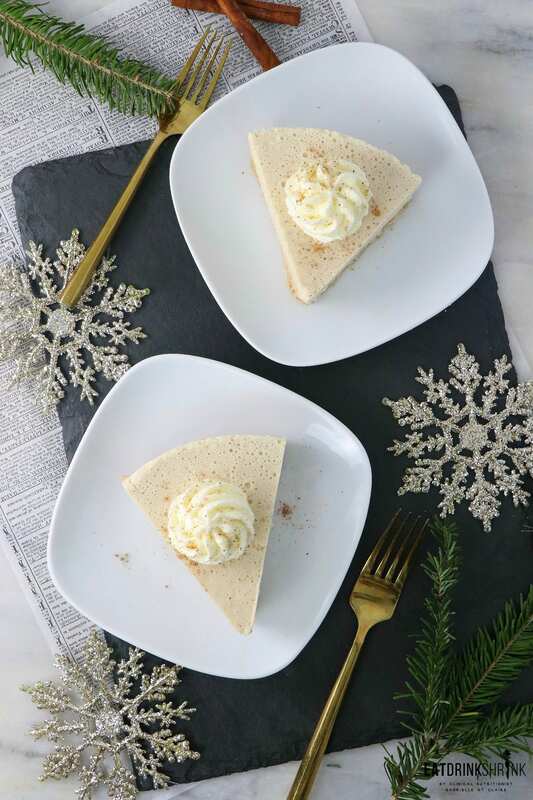 If you love all things eggnog or simple crave fun modern holiday eats, you’re going to love this recipe for vegan Eggnog Cheesecake! Make the filling: Throw all the ingredients in the food processor or blender, and blend until smooth. Pour into the crust and chill in the fridge for a few hours or ideally overnight. 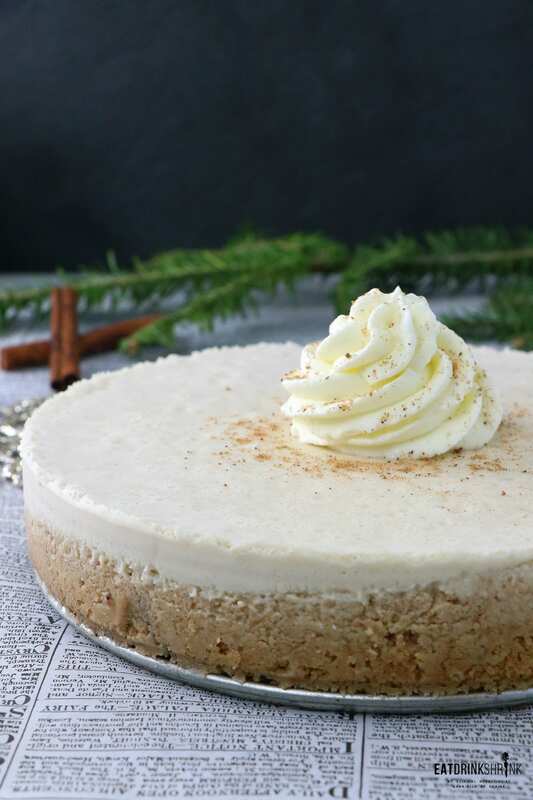 Top with vegan coconut whip and nutmeg and serve! It holds shape, but I'd refrigerate when not being served! I was wondering if you have a preferred brand of vegan egg not you us. Most stuff available is too sweet. Hi Sara! Absolutely! I used the Califia Farms brand and I found it to be not overwhelming. Let me know how this recipe turns out! I don't know what I did wrong but my cheesecake turned into a huge mess! I've been cooking and baking Vegan, Gluten Free for years. I followed recipe to the "T" The coconut oil separated and everything else was all liquid. It never became creamy. I baked the crust as suggested and the vegan butter dripped through the springform pan and smoked up the house. I'm sorry but I think you should know. I wonder if anyone else had these issues.